The Dodgers were unable to complete the sweep of the San Francisco Giants on this Father’s Day. 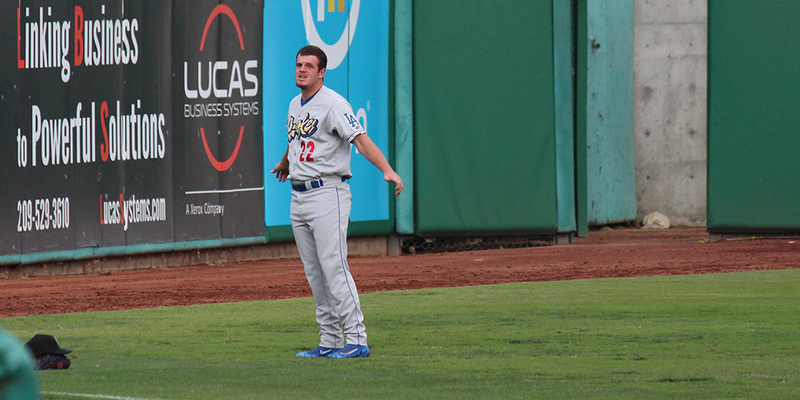 Behind an early hole dug by Caleb Ferguson and quiet bats, the Dodgers fell by a score of 4-1. Ferguson made it through five innings and continued to look like a promising, but unfinished, pitcher. In what appears to be his final MLB start for awhile, Ferguson struck out six Giants and walked one, while allowing only two hits. Unfortunately, both hits were over the fence and scored two runs each, the first by Nick Hundley on a hanging change in the first inning, and the second by Brandon Belt on a fastball in the fourth. Ferguson was missing quite a few bats today, inducing 15 swinging strikes in his 84 pitches. That rate is the fifth-highest for any Dodger outing this year, with a minimum of 50 pitches thrown. Only three Kenta Maeda starts and one Clayton Kershaw start rank higher. Ferguson’s lead pitch was once again the fastball, which lost a little velocity as the outing wore on but continued to look like a potentially above-average offering. Ferguson did induce some swinging strikes on the curve as well, but once again he struggled to find the zone with his pitch. The lack of strikes on the curve, especially early in the outing, let batters sit on the fastball and change, which were hit hard. Offspeed command remains Ferguson’s biggest issue. He’s a little more open to the hitters now and his legs are a little more bent. Considering that both homers came with runners on base, it’s tough to say that the tweak actually worked. Overall, Ferguson looks like an unfinished product. That’s absolutely fine given his stage of development, and it shows what he’ll need to work on when he inevitably returns to AAA. The line score and ERA will be ugly from today’s outing, but it was a potentially promising glimpse of things to come. After Ferguson was removed, the bullpen threw another four scoreless innings. Of particular note was Erik Goeddel, who threw another 1-2/3 innings without allowing a run. His first 14-1/3 innings with the Dodgers are now scoreless. Daniel Hudson continued to look too wild in his outing this afternoon, but he managed to strand the bases loaded in the eighth before finishing the ninth unscathed. On the other side, Chris Stratton pitched six innings against the Dodgers and allowed one run on three hits. On the surface, that looks like he shut them down, but a lot of Dodgers made a lot of solid contact on long fly balls. The only Dodger run came on a throwing error, with Justin Turner narrowly avoiding getting caught trying to advance on a ball in the dirt. 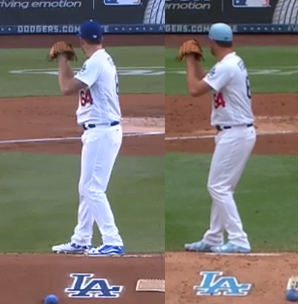 Overall, the Dodgers put nine balls in play hit more than 300 feet, and all nine were outs. This does not include a ~350 foot foul ball by Turner, which missed being his third home run of the season by about five feet. The offense looked fine overall, but the results just didn’t come. After today’s loss the Dodgers fall to 37-33 overall, but they went 6-2 in the now-concluded eight game homestand. They will now travel to Chicago to face the Cubs in a three-game set at Wrigley Field. Kenta Maeda will search for his better command against the extremely wild Tyler Chatwood at 5:05 PDT.